Security mechanisms and account management are important parts of creating a secure networking environment. This course examines different authentication services and protocols along with biometric security mechanisms and other access security mechanisms such as tokens and smart cards. This course also examines how LDAP can be used to create security in an environment along with risk reduction mechanisms such as policies for mandatory vacations, job rotation and separation of duties. This course helps prepares the learner to write the CompTIA Security+ Certification SYO-301. Securing the networking environment is the most important job role that a Security specialist will perform. This course examines the methods, tools, and applications that can be used to secure the data, mobile devices, and operating systems, as well as how to deploy environmental controls and physical access controls. This course looks at locking mechanisms - application and physical - along with encryption schemes for data on servers and mobile devices. This course also examines the different environmental and physical controls that can be used to secure an IT environment. This course helps prepare the learner to write the CompTIA Security+ Certification SYO-301. Guaranteeing end-to-end security in communication, document, and database infrastructures is incredibly important in internetworking environments. This course examines cryptography and the different algorithms, ciphers and tools that can be used to secure information, and to protect against attacks. Symmetric and asymmetric algorithms are examined, along with block and stream ciphers, one-time pads, and steganography. This course also examines message authentication, digital signatures, Public Key Infrastructures and certification authorization and revocation. This course helps prepares the learner to write the CompTIA Security+ Certification SYO-301. Web servers, web applications, virtualization, and cloud computing are becoming standard parts of corporate infrastructures. This course examines the communications standards and protocols that are used in the web server environment, along with the ways to harden web servers and web browsers. This course also examines the different types of attacks that web servers and web-based applications can face. Finally, this course looks at virtualized environments, along with cloud computing and the different types of services and challenges that each can offer. This course helps prepares the learner to write the CompTIA Security+ Certification SYO-301. 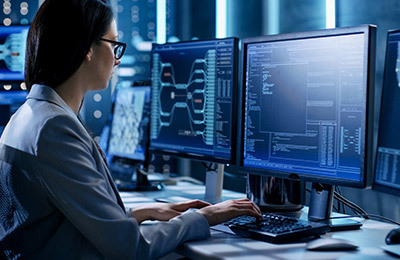 Business continuity, disaster recovery, and computer forensics go hand in hand when a security professional trains on ways to create, maintain, and repair network security. This course examines business continuity plans along with risk assessment techniques and the strategies used when creating a risk management process. This course also examines security training for end users and the methodologies and tools used when performing computer forensics. This course helps prepares the learner to write the CompTIA Security+ Certification SYO-301. Looking for Group eLearning Options? Contact us to request an eLearning demo for your team or learn how to upload to your LMS.